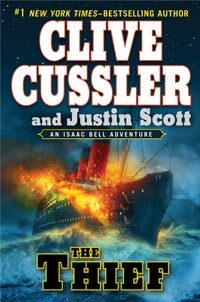 Cussler and company add to his fifth series, following the handsome young investigator Isaac Bell as he goes solo for the first time on a case for the Van Dorn Detective Agency. The year is 1902, and Bell is undercover in West Virginia investigating sabotage in a mine owned by ruthless John "Black Jack" Gleason, owner of the Gleason Consolidated Coal & Coke Company. 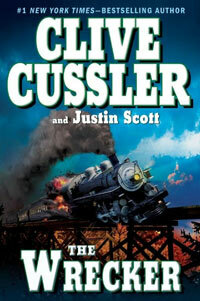 The tall, blond-haired Bell stands out among hard-worn immigrant mining crews, all the more so since he is nearly killed while attempting to stop a runaway train of tipple cars. 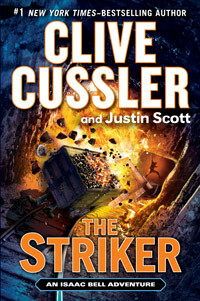 Cussler and Scott dig up interesting historical scene-setting factoids, including references to esoteric classic automobiles, Pittsburgh’s posh Duquesne Club, and the history of massacres and brutal strikebreaking as unions begin to organize. 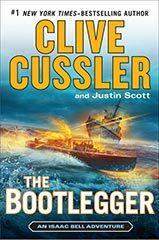 The action shifts from the dangerous depths of a coal mine to Wall Street, to a confrontation in a tunnel being dug for the New York subway and to a riverboat battle between two paddle-wheelers. 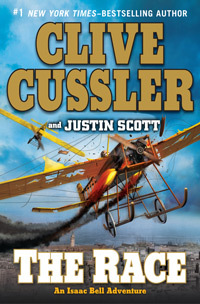 There are deft characterizations—Bell’s detective crew, Kisley and Fulton, explosives and muscle; Wish Clarke, a "crack sleuth" occasionally in the bottle; Bell’s nemesis, Henry Clay, illegitimate offspring of a bohemian artist, rejected Van Dorn protégé and now an amoral double agent; Jim Higgins, pacifist union organizer, and his beautiful, firebrand radical sister, Mary; and Archibald Angel Abbott IV, master of disguise—and the requisite hard-boiled dialogue like, "[You’ll] be waiting in Hell for the next batch to come down and tell you who was laughing. Drop 'em and elevate!" Clay morphs into Claggart, agent provocateur allied with nefarious monopolist manipulator Judge James Congdon, and Bell ricochets from West Virginia to Pittsburgh, New York City and Cincinnati, leaving in his wake gun battles, knife fights and explosions—it helps that he’s heir to a Boston banking fortune, has friends with private railcars and need not rely on expense accounting—working to prevent Clay-Claggart-Congdon from instigating a war that will wipe out striking miners and their families. 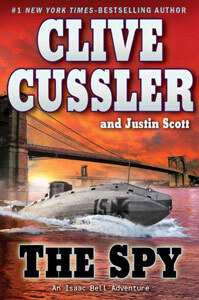 Classic Cussler, offering action in an interesting setting.